Iveel woke up in the middle of the night, when his parents were sound asleep, and quietly prayed to God. To Sabbath School teachers: This story is for Sabbath, Sept. 1. His father needed to study at an Adventist university in the Philippines. Iveel also needed to study, so his parents sent him to the first grade. School was very difficult for Iveel. The teacher and all the other children spoke in English. He didn’t know English, only Mongolian. After school, the boys teased Iveel as he waited for his ride home. Iveel didn’t want his mother to worry, so he didn’t tell the truth. “School was good,” he said. At night, when Iveel went to bed, he wanted to kneel and pray to God for help. But he was afraid that if his mother saw him praying, she would ask him what he was praying about. He didn’t want her to worry. So, he woke up in the middle of the night, when his parents were sound asleep, and quietly prayed to God. Iveel prayed nearly every night for several months. Then his parents suddenly decided to send him to a different school. The children at the new school were kind. They helped Iveel learn to speak English. When he hurt his leg playing soccer, the other boys helped him walk home. Iveel was so happy that God had answered his prayer about going to a new school! Then one day, the principal of Iveel’s old school invited him to return to the school for a party. Iveel felt a little nervous about seeing his old classmates who had treated him unkindly. But when he went to the party, the other children played with him and he had a great time. God answered his other prayer about becoming friends with those children! 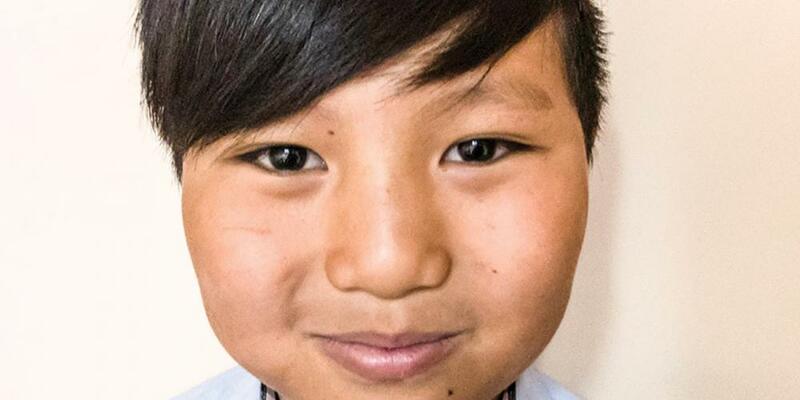 Iveel in now in the fifth grade, and he lives back in his home country of Mongolia. But he has never forgotten how God answered his prayers. He had never asked God for anything before he had prayed about his school trouble, and he had even wondered whether God really exists. Iveel has many friends in Mongolia, but many of them come from families that do not know about God. Part of this quarter’s Thirteen Sabbath Offering will help build a new Adventist school in Mongolia, so more children can learn about God. Thank you for your mission offering.